Well lets say it like this my hands are still full of paint and sandingdust a week after I last painted and they looked constantly like this since we got the boat to Switzerland. But now it is done and I am pleased with the result. I have to thank my friend Martin and my sister Nicole for their help with the sanding bit. 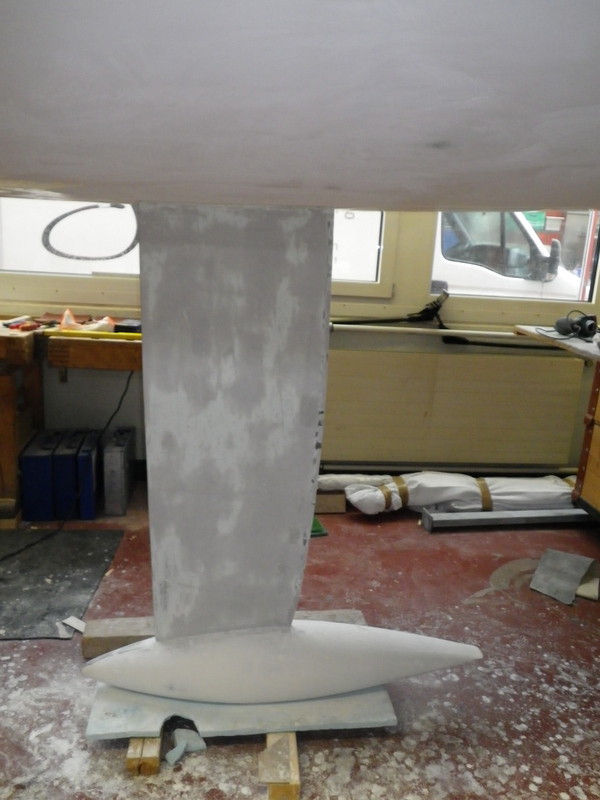 The work we have done to the bottom of the boat was fillering the parts of the hull where the mould joint was still visible and all the other uneven parts like the cast keel fin and led bulb. After that the whole bottom was wet sanded with longboards and fillered again, which took us a good week to do. 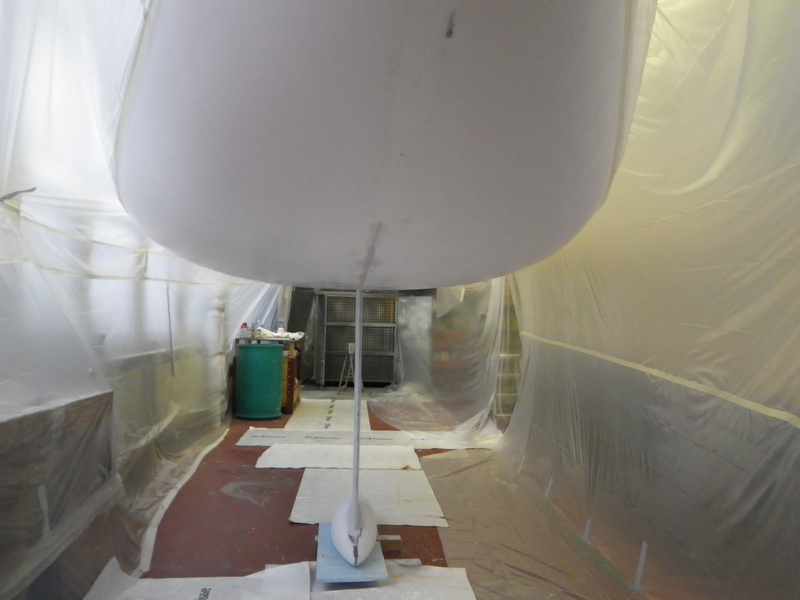 Then the painting bit, the whole boat was wrapped up in plastic so that only the bottom of the boat got spray-painted and not all the other stuff in the same hangar. I sprayed 4 layers of a two component protection underground and then 3 layers of antifouling a standard buildup for a fiberglass boat. I started working as electronics engeneer last week again to get some cash in again the keep the project going, which means 7am to 4.30pm working as electronics engeneer and then straight to the boat for an other 5h to 6h which means my consumption of energy drinks has risen dramatically! 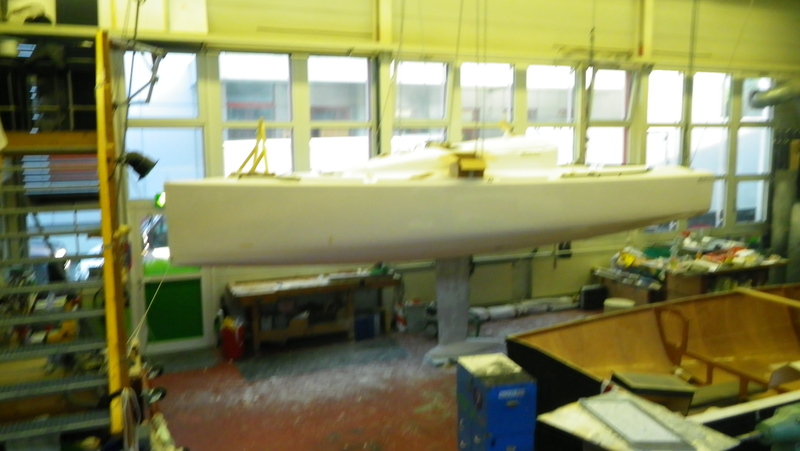 It slowly comes together just started to drill holes for the deckgear, feels great to work on your own boat knowing that if I do a good job I will have less problems during racing later. I will keep u updated, need to sleep now! This entry was posted on August 9, 2011 by simonkoster. 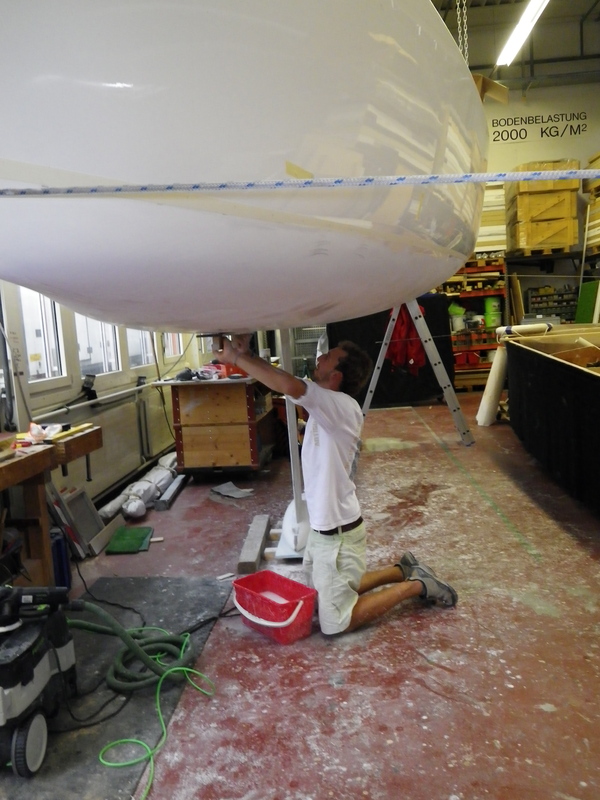 It was filed under Uncategorized and was tagged with antifouling, miniproject, miniprojekt, minitransat, nacira.